Reduced space requirements, top characteristics, ease of installation, extreme lightness. These are the exclusive distinguishing features of the POWER STEEL range. The complete assemblies within the range have hit the target perfectly: enhancement of performance, ensuring maximum fluidity of the power delivery, whilst eliminating any of the mid range gaps that are typical of original systems. These results are achieved thanks to precise design choices: cone shaped tubes, compensators and fittings, providing better gas flow dynamics. 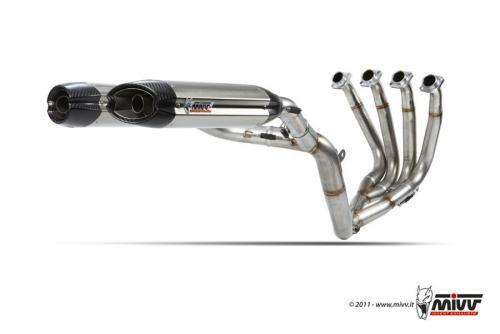 The systems include 1 mm thick AISI 304 stainless steel collectors, and special Titanium/Carbon silencers. Our POWER STEEL range offers aesthetic solutions where careful attention has been given to each and every detail. This S/S version weighs 1.9 kg. and is particularly suitable for those who want to use their bike for track racing (amateur or professional). 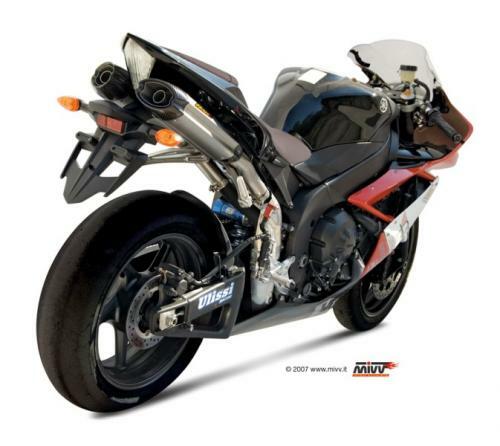 The full POWER STEEL assemblies are EU Homologated, which are fully road legal throughout Europe with the benefit of removable baffles for track days.